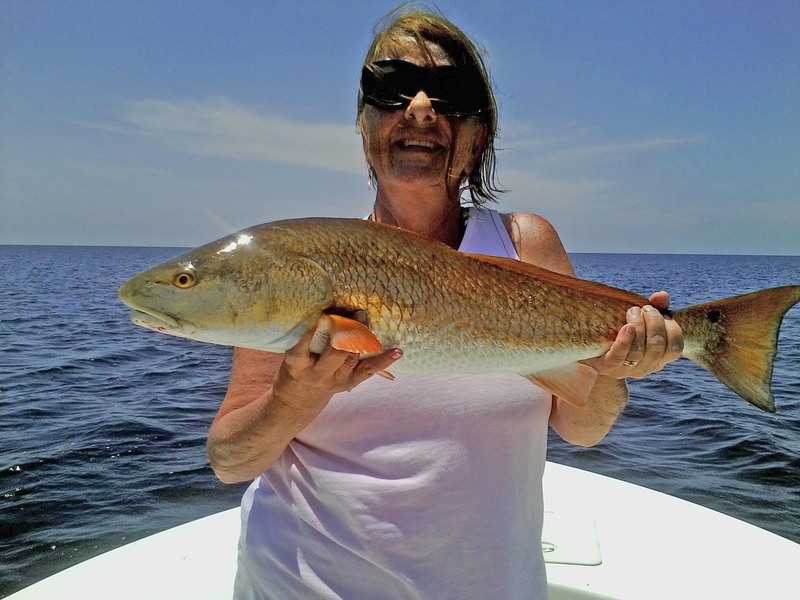 June 1-9: Open season for red snapper! 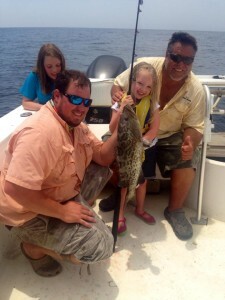 June 28: Scallop season opens! 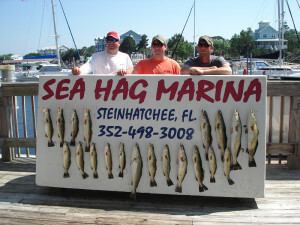 In spite of continued rain, the waters around Steinhatchee continued to gradually clear, providing some great fishing. 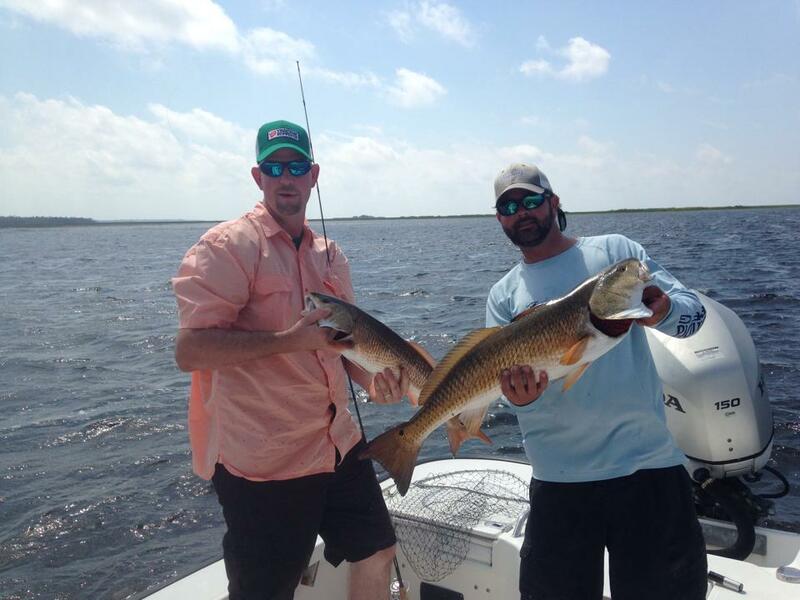 In general, areas closer to the river remained tannin-stained and dark, with decreased salinity, which affected the trout fishery. However, excellent keeper trout fishing was easily available at distances from the river, from the Bird Rack and Doghead areas to the north of the river, and around Pepperfish Keys to the south. 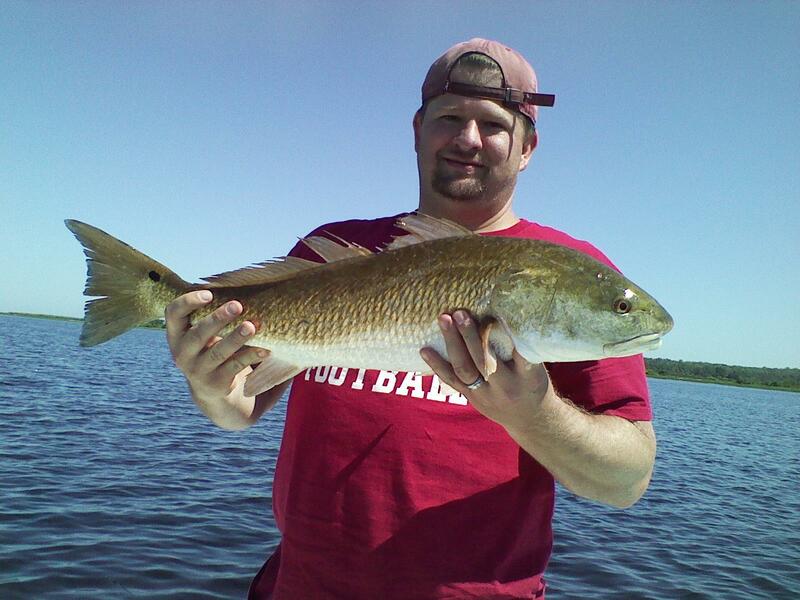 Redfish are less picky in terms of salinity, and some were even caught inside the river. 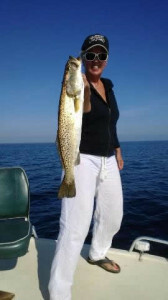 However, most good catches came from schooled fish that were caught several miles either north or south of the river. 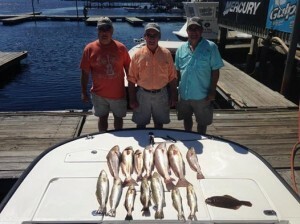 Areas around Big Grass Island to the north and Pepperfish Keys, Stuart and Drum Points to the south were productive. 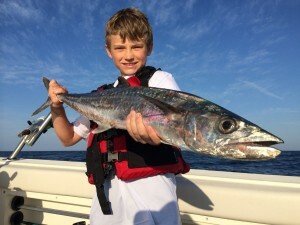 One of the disappointments has been the late arrival of the massive schools of whitebait, and those that have arrived are staying well offshore. 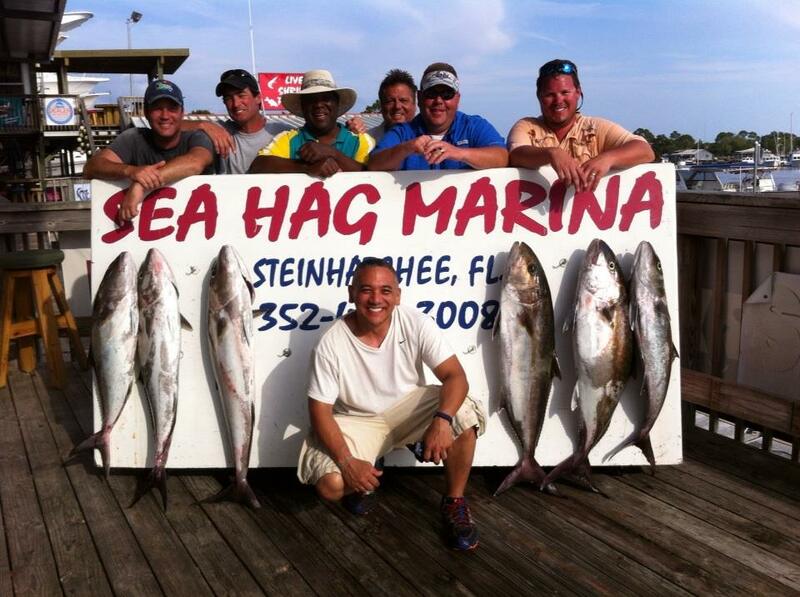 This has provided some excellent kingfishing, but the Spanish mackerel have been relatively scarce. 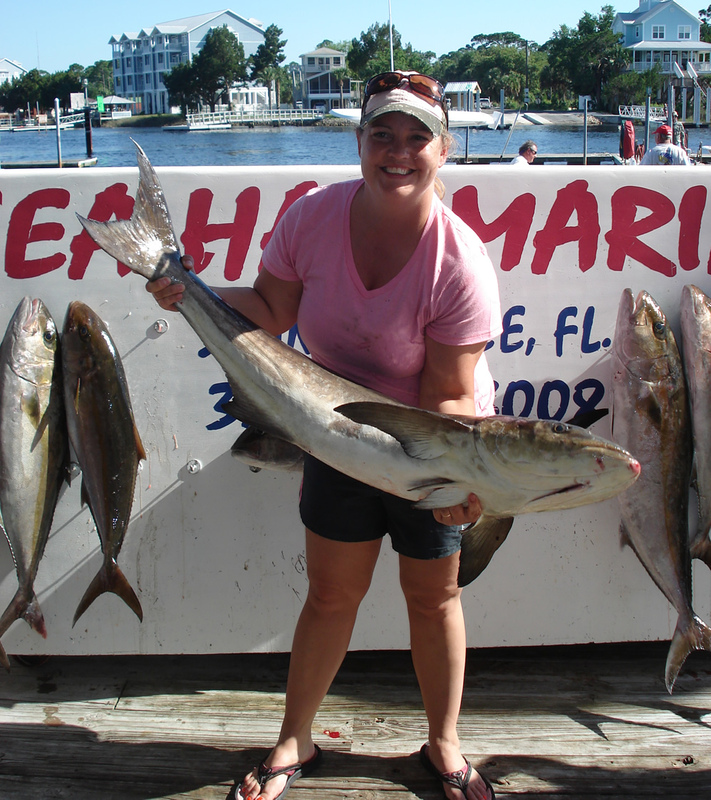 While there have been occasional small cobia taken on the flats, there have been some massive fish taken offshore as you can see from the pictures documenting this month’s catches; areas with amberjacks frequently attract large cobia as well. 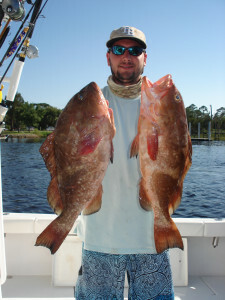 Additionally red grouper have been taken in good numbers much further offshore. 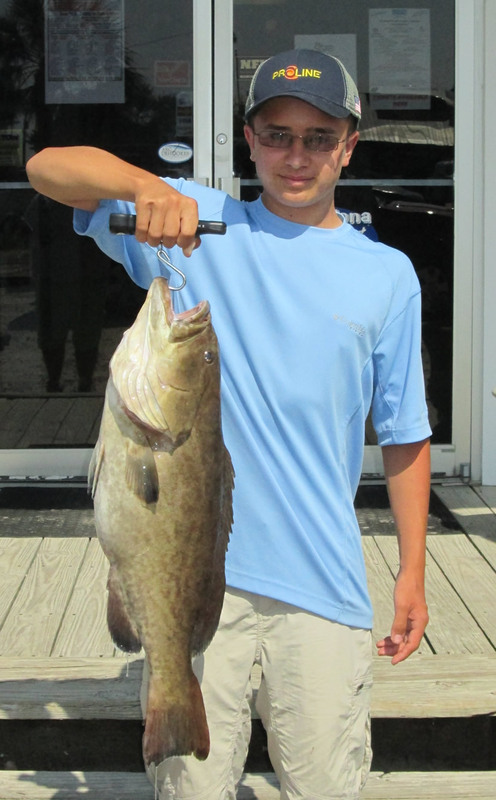 Victoria Wyrick from Perry brought in this 52 pound cobia fishing during the Optimist Club tournament. 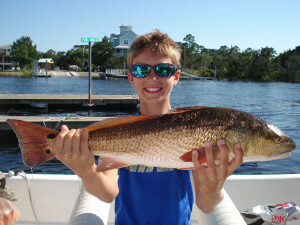 Tanner Cooper from Gainesville, fishing from a Sea Hag rental boat, caught this redfish on a live shrimp. 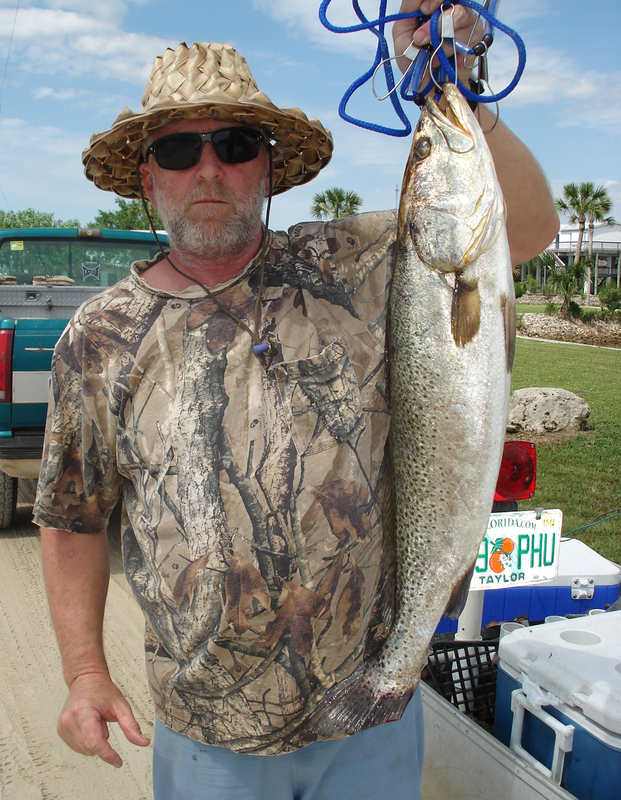 Rodney Myers caught this 28 inch gator trout outside of Dallus Creek. Leanne Harris was fishing with her dad and landed this fine redfish on a live shrimp. Lance Smith from Gainesville found these red grouper in 65 feet of water. 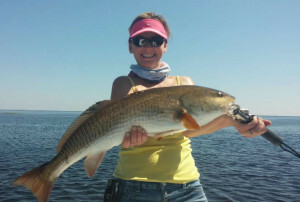 Kristin Griffis from Alachua caught this overslot redfish fishing with husband Toby. Joel Michael Presley landed this excellent kingfish and an amberjack on a recent trip. Jim Sochaki and his crew found these fine red grouper in 70 feet of water. 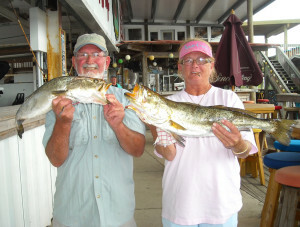 Old friends Jeff and Debbie Evans with some fine trout caught during the Optimist Club tournament. Jake Berry with an excellent redfish caught on a live shrimp. Another great cobia caught by Heather Montgomery on an offshore charter trip. Eli Curl with a gag grouper taken in state waters at the Steinhatchee Reef. The real Sea Hag, Danielle Norwood, was given a Mother’s Day trip by her family, and daughter Chaeli found this beautiful gator trout. Dalton Rogers from Griffin, Ga. found this giant bluefish while fishing with his family. Cindy Johns from Keaton Beach brought in this 23 inch trout caught on a Gulp! Shrimp. Blake and Doyle Hedgecock from Valdosta nailed this giant kingfish aboard the “Reel Footlong”. 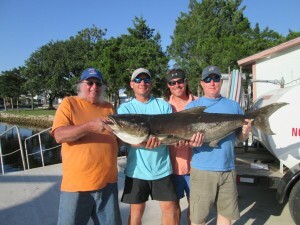 Phil Bannon, Brian Stone, Heath Day and Lynn Stone from Adel, Ga. caught this excellent 61 pound cobia on a jig after the fish ignored multiple live pinfish. 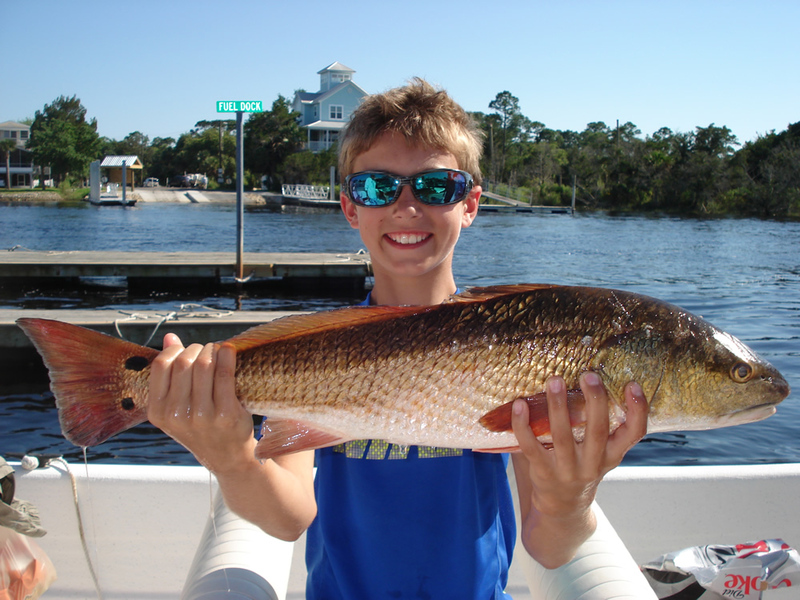 Exciting happenings this month with the opening of the federal red snapper season, but unfortunately only for 9 days from the first to the ninth. 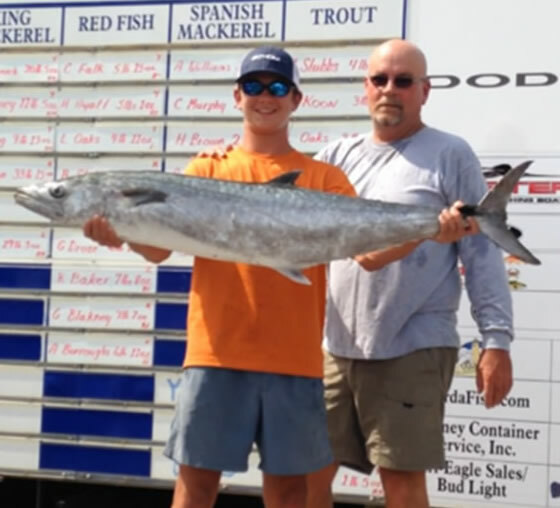 Get your motors ready or do your best to find a charter to get you out to the deep water for the best possible chance at getting the finest eating fish in the gulf. 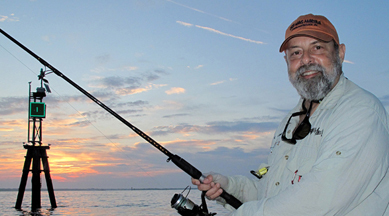 Later in the month, scallop season opens early on the 28th. 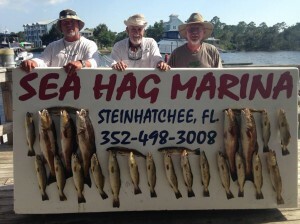 If you are unfamiliar with scalloping at Steinhatchee, you can find some great information on Capt. Tommy Thompson’s website under Scalloping 101 (http://www.saltwateranglersguide.com/?p=5374) or Bay Scallops, The Gulf of Mexico’s Tastiest Treat (http://www.saltwateranglersguide.com/?page_id=2215) Remember that you need to have a fishing license to scallop. Most of our inshore guides do both scallop trips and mixed scallop and fishing trips, so take advantage of their knowledge to find your limits. I have seen a fair number of scallops on recent trips and it looks like it will be a great season ahead, so make your reservations early. 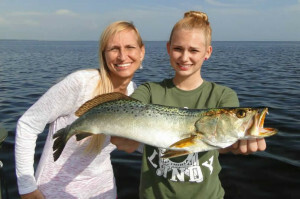 Inshore, as the water heats up and with the lower salinity from rainwater, the trout tend to move to somewhat deeper water. 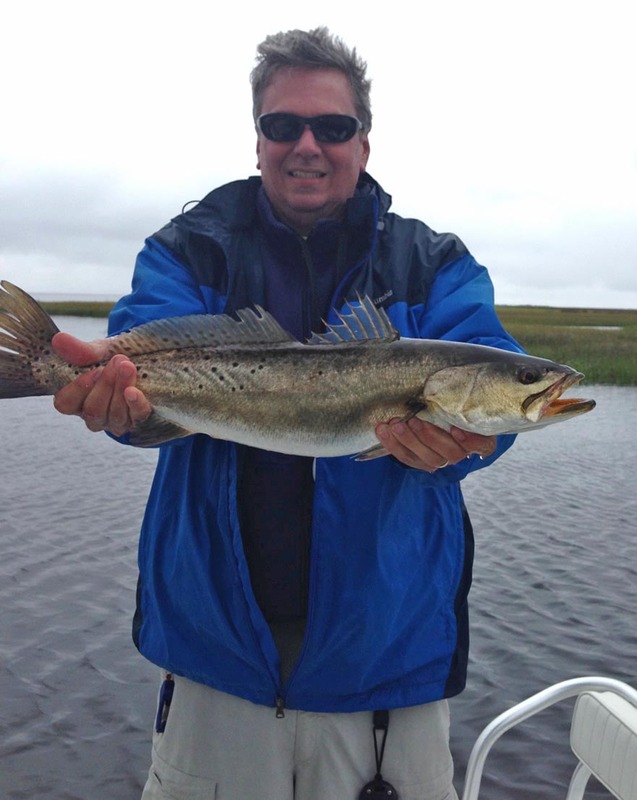 Already many limits have been taken around the Bird Rack and in deeper water outside of Sink Creek and Rocky Creek. 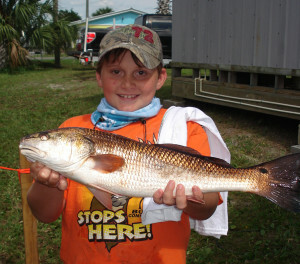 Redfish will continue to be found in schools with some solitary fish. 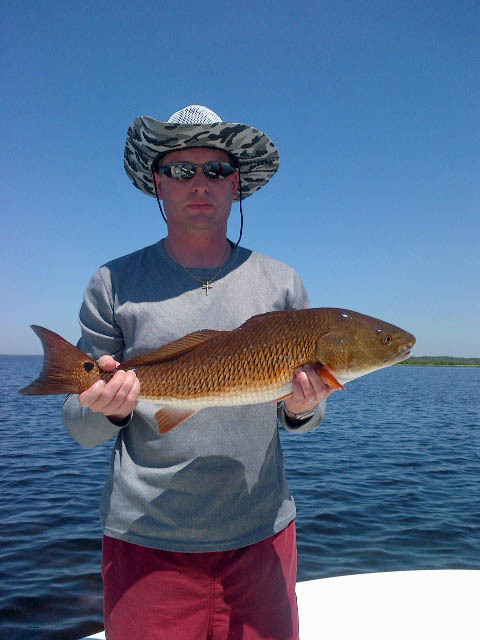 Look for them in 3 to 4 feet of water; start offshore on low tides and move in to fish the shoreline on flood tides. This is the time of year when we begin to have to deal with floating grass, so switching from lures to jigs and Gulp! 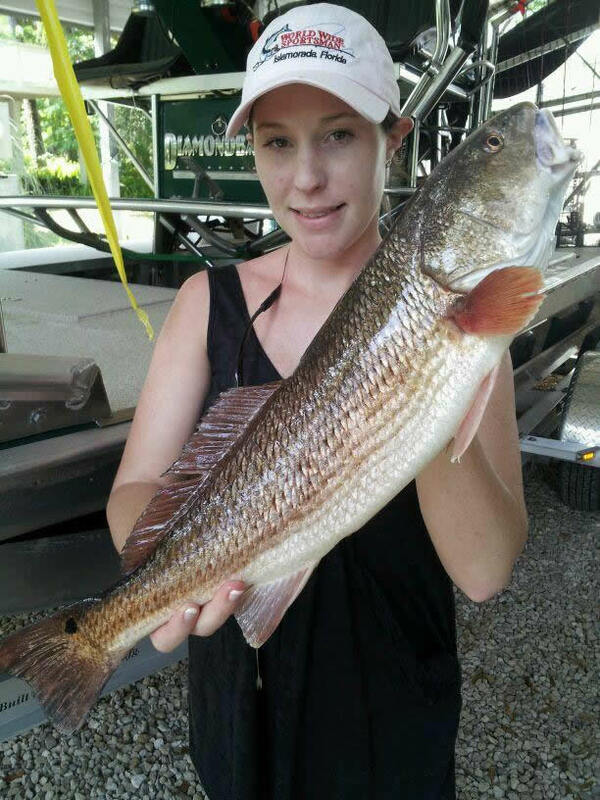 Baits, both alone and under popping corks will work for trout, and gold spoons or cut bait for redfish can score in heavy floating grass. 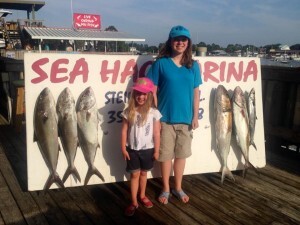 Cobia are continuing to hang around offshore structure and there have been some monsters taken this year already, along with lots of kingfish around offshore structure and migrating bait pods. 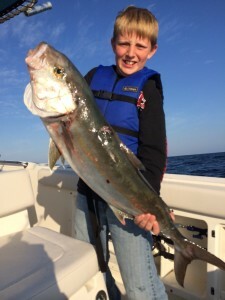 Kingfish have been taken within sight of Marker 1, actually, but in general you’ll find them around structure in 25 feet of water or more. 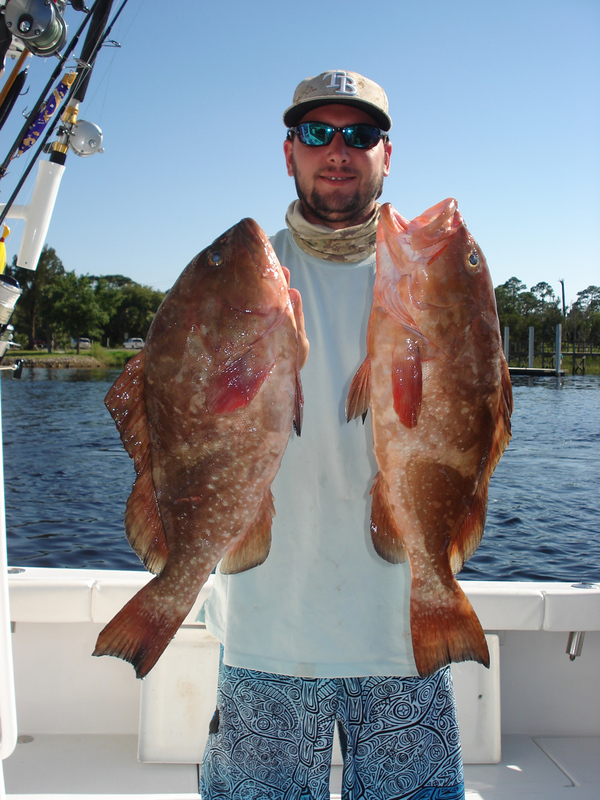 Gag grouper are open but only in state waters, while red grouper remain open but require more of a run offshore. Lots of things going on this month with tournaments and the opening of scallop season, so plan ahead. 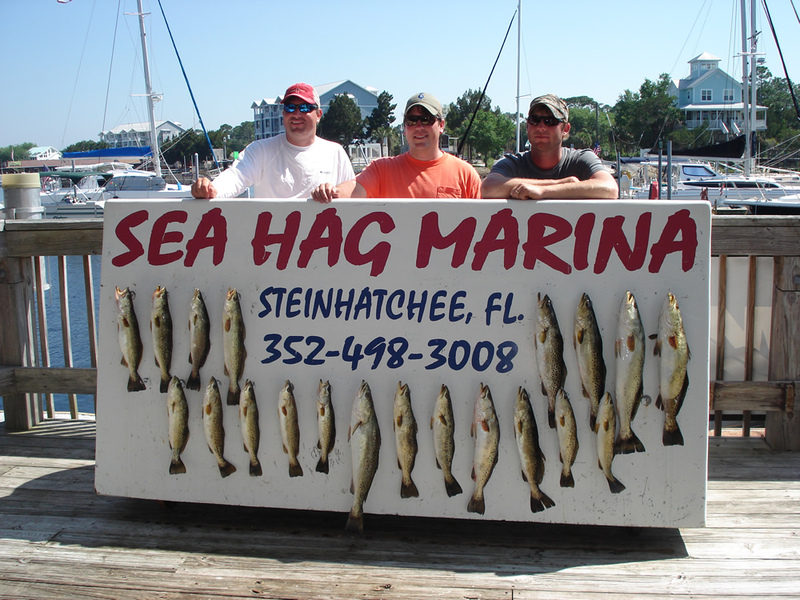 Rent one of our perfectly rigged rental boats and put together your own scalloping and fishing trips, but they will go fast so make your plans early. 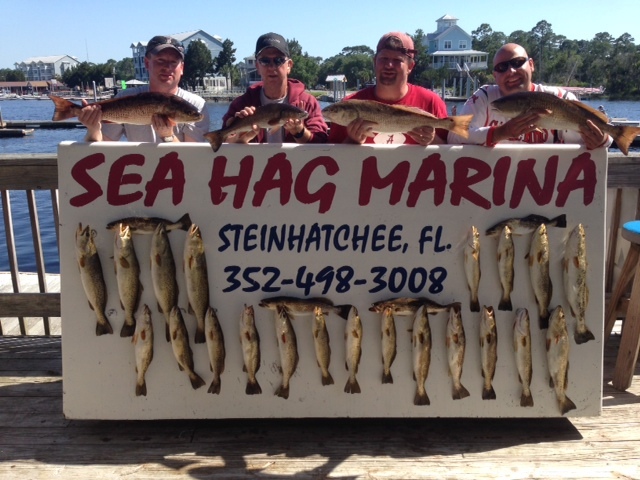 There are still rooms available at the Sea Hag but call quickly because they will go fast. 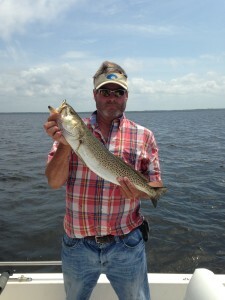 As expected May was a great month for fishing the flats. Limits of trout with a big red or 2 mixed in for every trip. Thanks to the charters who turned the reds back and a big thanks to the Greg Coleman party out of Savannah for releasing a pair of gator trout over 30 inches. June will be a good month on the flats also. 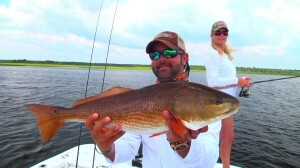 Still plenty of Spanish cruising around to go with the trout and redfish. 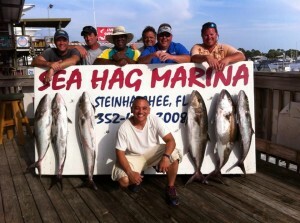 Large cobia are just beginning to show up around structure and rocks. 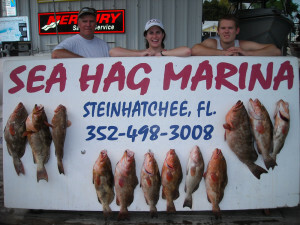 Still have some days open for flats fishing and remember I do scallop charters also or combo trips. 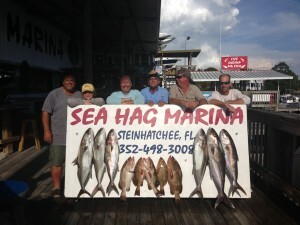 The combo trips are half day fishing and half day scalloping. The early part of June is wonderful. In the morning air temperature is still somewhat cool yet warms as the day progresses, so the relative humidity (RH) remains low throughout the day. Low RH translates there isn’t enough hot water vapor sent skyward, the energy, to support the development of large afternoon thunderstorms. 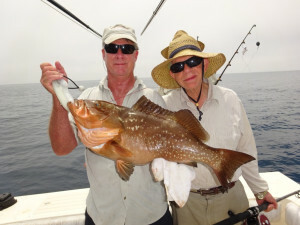 The atmosphere and sea are in a state of thermal stability, a happy, happy, happy state for fishermen and fish. Furthermore, all extended pelagic relatives are now home in family waters. 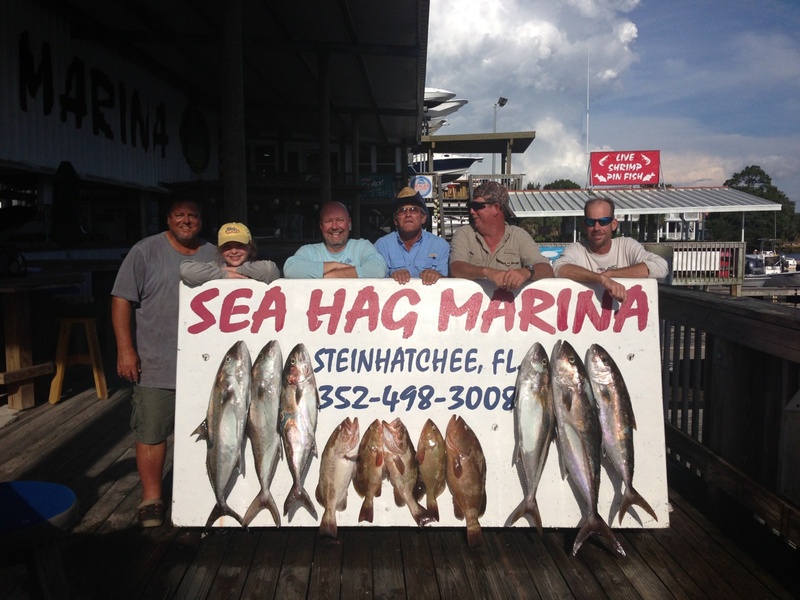 Spanish mackerel and their big kin kingfish with running mates cobia are all mixing it up with our homeboy reef fish grouper and such. 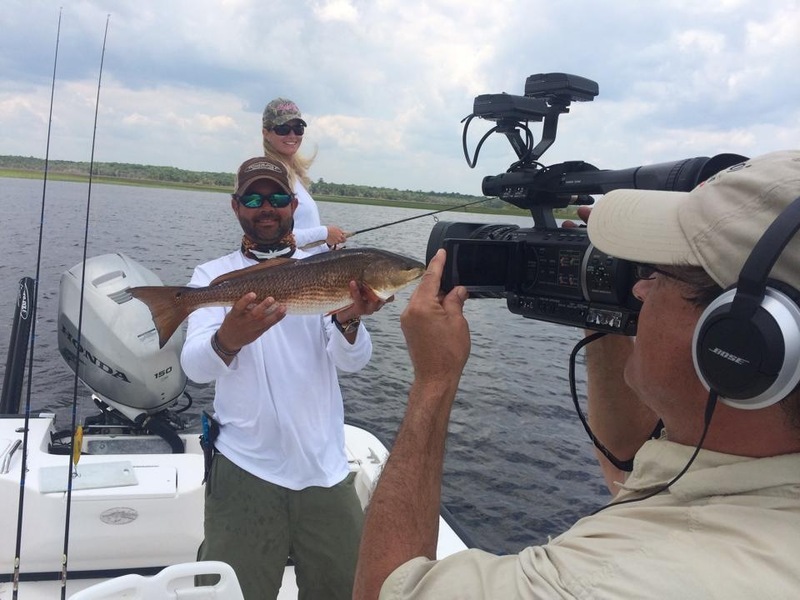 Even with the excessive rains, translating into a massive freshwater infusion on the grass-flats, trout and red fish catching has remained steady. It is reported best in the clearer waters north around Big Grassy Key and south around Pepperfish Keys and lower. 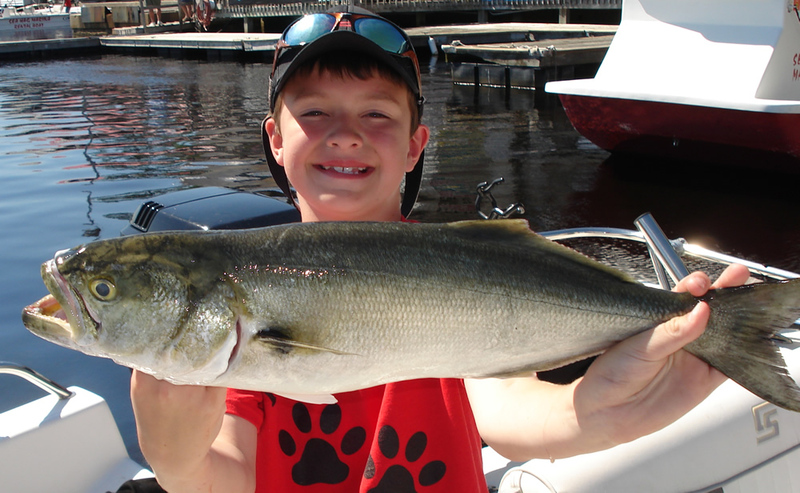 Typical jigs and such are working, but take the time to catch some small pinfish to make ‘shiner tails’ for more success. Man can never produce anything better than nature already has. 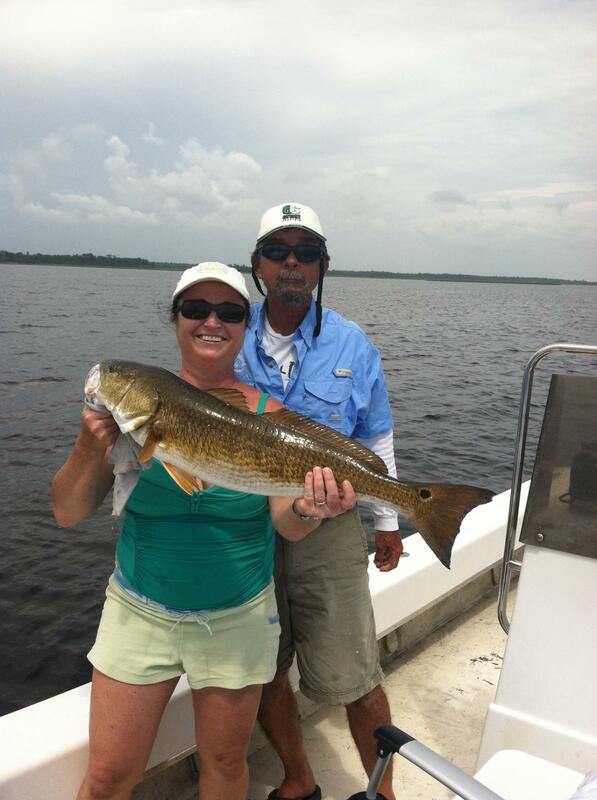 Come fish Steinhatchee, you’ll like it. Wow ! As predicted May was an excellent month to fish the Nature Coast and things look like they will be the same in June. We are taking reds on mirrodines routinely and on live pinfish. 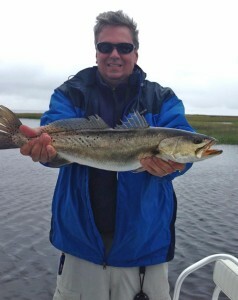 The trout bite is strong as well. Limits on both are not uncommon. We are scheduling scallop trips this year again and Rick Scott has signed an order for the season to open earlier this year. Scalloping is great family fun , be sure to join Hooked on Reds charters for your next trip to Steinhatchee.